Beacons-based sales and marketing is fast becoming an enticing technology for large scale bricks-and-mortar retailers. Nathan Sinnott outlines the technology, and how to roll out a best-practice sales and marketing push via the platform. The sharp rise and convenience of ecommerce in recent years has eroded traditional bricks and mortar retailers’ share of the pie. As a result of this threat, physical store owners must evolve to ensure they remain relevant and current to prospective customers. Beacon based technology might just be the ticket traditional retailers need. 2016 has been called ‘the year of the mobile beacon’ by Forbes, and we’re certainly seeing plenty of activity with this technology, not only in a strict retail setting but adaptive for use in restaurants, museums, public car parks, warehouses, sporting venues, and our public transport systems. if you are at the MCG and can be given directions to your seat, the nearest bathroom, nearby food and drink stores, average wait times, and much more. Beacons are great tools to help boost customer experience by understanding the digital body language of the consumer and providing real time, context-based, personalised recommendations or offers and in-store services. 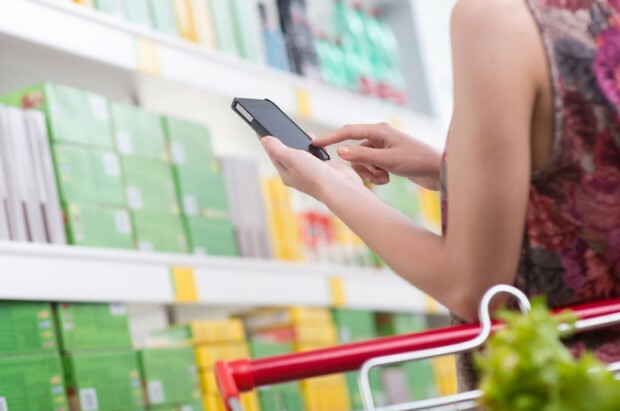 Many retailers are already reaping the rewards of beacons-based sales and marketing initiatives, but there’s the camp that’s a little more hesitant about the investment, perhaps not yet completely appreciative of just how transformative beacons can be when deployed correctly. One of the incredibly valuable elements of beacons is the rich customer data they provide. Think of them as data treasure troves. When implemented, retailers have visibility of individual customer shopping behaviour, including preferences, spending patterns, frequency and capacity. This information can be used to tailor, in-store offers to each individual customer – powerful sales and marketing tool. This one is straightforward and should help those currently pondering whether or not to adopt beacon based technology. Rather than customers making their way around your store without any knowledge by your team of their preferences, likes and dislikes, you will have this data available and can make use of it to set personalised triggers, help find a product line, track loyalty programs, offering location and proximity based special offers, deals, recommendations and suggestions. It’s this interactive shopping experience that upgrades the customer experience and personalises their time in your store or venue. Beacons based sales and marketing: how? The value of beacons for retailers and businesses with a physical setting where consumers move around in is presently unmatched. Here’s five tips on how to implement a best practice beacons based sales and marketing initiative. Consumers are wary beasts. They don’t like giving away information they don’t have to for fear of misuse. Provide a clear message about your beacons based model, outlining specifics such as it will help customers find a product in-store, including turn by turn directions, offers you real time in store specials and promotions, shows you where the nearest bathroom is etc. Clearly outlining the benefits will alleviate concerns, and boost take up rates for your program. Only ever send relevant and worthy notifications to customers. Ensure each is personalised to their profile, and limit the volume. Generalised or high volume push notifications will likely lead to a high attrition rate. Make a point of focusing on contextually relevant and well-timed messages that will have a positive impact on customer behaviour and in-store interactions. Keep in mind that you want to engage with your customers, not annoy them. A pilot campaign is mandatory, using a limited, unbiased audience. This trial period will help you better understand the best timing, intervals, message types, and offers that generate the most positive interactions. Then crucially, when your beacons-based program is in full swing, measuring and optimising the campaign is an evolving process. You must analyse the data you yield, and tweak your program to enhance their quality and experience for each customer. Traditionally, marketing teams work in a centralised manner. However working in this fashion with location-based campaigns risks isolating the customer. Targeted, location based campaigns across multiple stores generally perform better when staff on the ground have a level of input and control to help steer the finer elements of a campaign. Major brands across the globe are deploying location based marketing solutions to help enhance customer engagement, and boost sales. Macy’s has rolled out in excess of 4,000 beacons powering department based deals, discounts and rewards. Target is trialling a 50 store beacons based marketing campaign, to better understand how customers move through a store in an effort to determine if more staff are required in specific departments. This is valuable insight and information that you can use to your advantage when selecting which elements you use as part of your implementation. Beacon based technology offers a powerful new way to deepen customer loyalty and up-sell to customers. Their application extends well beyond retail or location based marketing only. I anticipate widespread, large-scale beacon deployments in the years ahead, across airports and public transport hubs, providing scheduling information, along with hospitals for ward navigation and real-time patient information for doctors and nurses, and many other settings. The opportunities are substantial and appealing for those brave enough to adopt this technology. Nathan Sinnott is CEO of Newpath WEB.